I have seriously neglected my blogs in the last year. It’s strange how you can totally rely upon, love or need something for an extended period, and then suddenly not have sufficient time or attention for it. Blogs are a gym workout for writers. They keep us fit, focused and fast. There’s no time for the finesse of a published article or book, nor is there an editor and multiple drafts, but they are a good discipline and satisfying. So why did I stop? Upon reflection, I realise blogs were the scaffolding for my development as a writer. They gave me form in an industry which is otherwise unstructured, and I imagine that’s what a regular magazine or newspaper column does for writers; albeit with bigger readership. It’s not that I don’t still need shaping – artists never stop growing in their craft – but other projects have taken precedence and, rather annoyingly, twenty-four hours in a day is often too short! 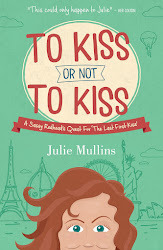 A year ago next month I published a book, To Kiss Or Not To Kiss, and I was happy not just because I think the design and narrative came together in a finished product I could be proud of, but because it was the culmination of many years of writing exercises, projects and books which hadn’t made it out into the world. And though my ‘other job’ has kept me busy since, commanding most of my available time and energy, I guess there was also a sense that after being alone in a room for a long time (solitude essential for writing) I needed to rejoin the working population and stretch the other side of my brain. I needed to socialise and put £ in the bank. And I’m grateful for all professional opportunities – paid and unpaid, creative and corporate. The challenge is to find the right balance. That’s what got me thinking about scaffolding. We rely on it to achieve something else. It’s a necessary step in construction, in the process of creating something new or different. But there comes a time when it has to be removed – when the new creation has to be set free, stand on its own two feet. I was sitting on a hill in the middle of Tuscany once, when a children’s bookseller from Perth was giving me advice about a manuscript I’d asked her to review. Her feedback was positive, but the upshot was that she felt I’d taken too many pages to prepare the reader... to walk them through the back-story (I paraphrase). As she talked the truth dawned on me, and I blurted out “I’ve left in the scaffolding!” “What?” she asked, somewhat surprised. “I can see it. Yes. I’ve left in elements of the process that I needed to create the story. I’m showing the reader the workings. I have to remove the scaffolding.” She was delighted with this summary as hadn’t thought of it that way herself. I went on to explain that actors know well that the process we go through in the rehearsal room has to develop and evolve before we reach the theatre. We have to change gear. The audience doesn’t want to see why we’ve chosen this or that trait for our character, they simply want the character to live and breathe. Theatre isn’t an intellectual exercise (though it can be intellectually stimulating). It is a dynamic, live construct, and it isn’t believable if the actors are living in their heads. Excitement and drama happens in the moment. I learnt a lot from that conversation about writing, and future drafts of those stories were better. Scaffolding then is a stage, a temporary need. Perhaps parenting is like that too. Also teaching. Adults provide a safe haven, with established boundaries, within which a new and very individual person grows and, Please God, thrives. Then one day they fly the nest. They come back of course, likely to need you as a regular touchstone, but they are out there in the world, free and ultimately responsible for their own destiny. I think sometimes we also get into love affairs for transitional reasons. There’s something we want, consciously or otherwise, to help us get from A to B, and we reach for the support we need at the time. It is right and normal that we do so, providing of course we’re also honest and respectful. Something doesn’t have to last forever to be immensely valuable. Putting the arts aside for a moment - a business which intrinsically demands vulnerability - what happens in life when the scaffolding falls or gets pulled away before we’re ready for it? Do things get seriously wobbly? Scary? Does it test our inner strength? Yes. It does. But can it also be exciting? Liberating? Can it open up horizons that we might not otherwise have contemplated? Yes. Of course. Retirement can be a joy to as many as it is difficult. Separation, after a reasonable gap of time, can be empowering – a rebirth of sorts. Even unemployment, if you’ve managed to save money or get a payout, can be an opportunity like no other to consider what you really want to do with your life. The point about scaffolding is that it can be viewed either way. It can be positive or negative. Perhaps, as with Cognitive Behavioural Therapy, it is possible for us to consciously acknowledge fear or discombobulation then let it slide by. (Yes that is a word, communicative whether or not it’s yet in the dictionary.) Or as meditation leaders counsel, nod to whatever’s distracting you, then let it go. Don’t fight or deny it. Because the point is that wobbly, unfocused, or scary feelings don’t have to confine or define us. They are just a part of the process of living and moving forward. And in our bravest moments we acknowledge fear and do the thing anyway. So today, consciously, I’ve returned to the scaffolding of my writing practice. (I think that could be practice or practise.) It doesn’t matter who reads this blog. I just needed to write it. In a way I can’t explain, simply know that it is authentic, I feel another creative chapter approaching... a period without scaffolding... so perhaps I’ve been not so much ‘off the boil’ but ‘quietly simmering’ while I tasted some of the other things life has to offer and solving some other problems. And actually, that’s exactly the kind of variety and challenge I need and desire. And that’s just as well, because I don’t know any other way to live.